The Detroit Medical Center/Wayne State University Sinai-Grace Emergency Medicine Residency was established in 1981 as a PGY 1-3 program. We are fully accredited by ACGME to train 14 Emergency Medicine Residents per year. We take care of amongst the sickest patients in the world, and we have fun while learning how to be the best at it. We firmly believe that by training at Sinai-Grace, you will be prepared to work anywhere in the world. Why should you consider Sinai-Grace for your Emergency Medicine training? Sinai-Grace is the only hospital serving Northwest Detroit, and cares for an urban, sick population with many medical co-morbidities. 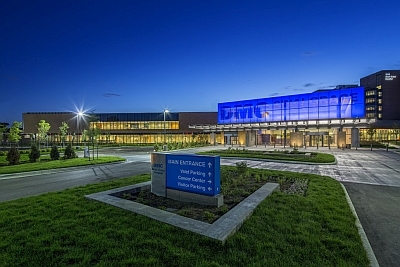 With about 100,000 patient visits per year, Sinai-Grace is the third-busiest ED in Michigan. We see 2,500 trauma codes each year, and our residents run all trauma codes and perform all procedures on trauma patients – every day. All in our brand new, 59,000 square foot, 75-bed ED (constructed in 2014). We receive more Priority 1 (Life/Limb Threatening) EMS runs than any other ED in Detroit. WSU-EM consistently ranks in the top 15 in NIH research funding each year. You will see and do everything. We’re affiliated with Wayne State University SOM and Michigan State University COM, and constantly have intelligent, interested students in the Department. We also have students from around the country complete away rotations in our ED. Pediatrics comprise 17% of our patients – including pediatric medical and trauma resuscitations. This is supplemented by rotations at DMC Children’s Hospital of Michigan, our region’s pediatric tertiary-care center. We have an extraordinarily strong Ultrasound program, with five fellowship-trained attendings on staff, one ultrasound fellow, and a total of seven ultrasounds in the department. As interns, we have 3 dedicated ultrasound shifts per block with a separate day of review with an ultrasound faculty member. As seniors, many of us choose to do an ultrasound elective block and additionally have dedicated senior ultrasound shifts throughout the year. Our residency is particularly strengthened by immersive experiences in critical care. As an intern, you will attend all medical and trauma resuscitation codes during your 5 months in the department, and you will be responsible for nearly all procedures done in the resuscitation rooms. On average, we see 24 medical/trauma code activations per day. The codes are run by the PGY-IIs and PGY-IIIs (and by the interns towards the end of the year), with all procedures belonging primarily to the ED team. As a PGY-II, you will run a MICU team (without any fellows) and will run your team in the ED as well. As a PGY-III, you will complete a dedicated “critical care” block in the department where you will focus on resuscitation and care for all critically ill patients throughout their ED stay. During your three years in our program, you will spend 5.5 blocks on MICU, SICU, NICU, or PICU teams. Last year’s graduating class sent Critical Care Fellows to the University of Michigan and Washington University in St. Louis. We have an engaging Toxicology program, with dedicated tox education, two fellowship-trained attendings on staff, one fellow, and a rotation at the Michigan Poison Control Center. We have an EMS fellowship based at SGH as well, with full rotations available for interested residents. We have fellowship-trained attendings and in-house fellowships in Research, Medical Education, EMS, Toxicology, Sports Medicine, Ultrasound, Global Health, and more. Graduates of the Sinai-Grace Emergency Medicine Residency have gone on to practice all across the country. Training at Sinai-Grace means you will be prepared to work in any setting, perform any life-saving procedure, and care for absolutely any patient. Not because you’ve read or heard about it before – but because you’ve done it. Our program is open to physicians who have graduated from an accredited school of Medicine or Osteopathic medicine. Note: Sinai-Grace Hospital (SGH) is the largest of the several hospitals in the Detroit Medical Center (DMC) system, which in turn is heavily affiliated with Wayne State University (WSU). The WSU Department of EM includes two EM residency programs – SGH and Detroit Receiving Hospital (DRH). You will see these abbreviations throughout the website.